Podcasts a great way for you to stay connected to what’s happening in the horror community, catch up with news and reviews, and enjoy some of the most original and spine tingling horror available anywhere. 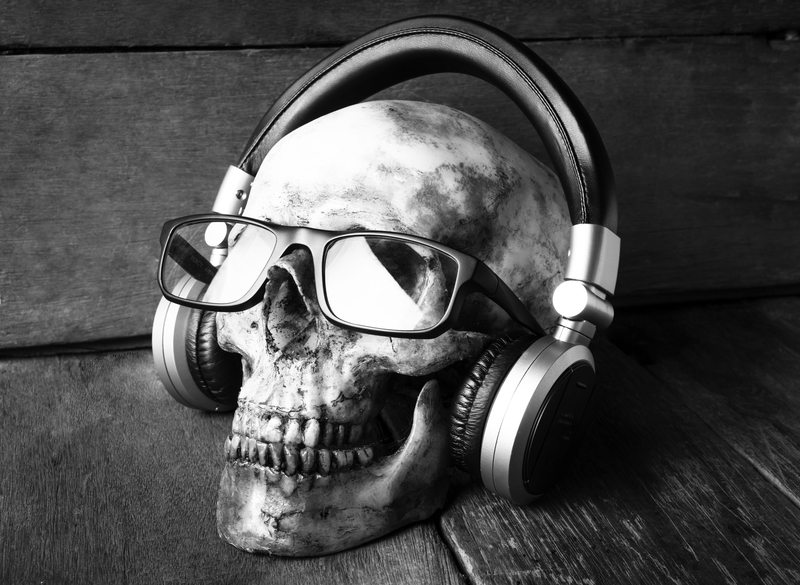 Whether in the car, at work, working out, or just unwinding before bed, here are ten of our favorite podcasts to help fuel your horror obsession. This horror fiction podcast takes a pretty unique approach to podcasting: each story told is an old radio show. Run by Relic Radio, The Horror! plays classic radio shows from the 1930s to the 1970s, with a modern-day intro and outro around it. It’s geared toward anyone who enjoys old-school horror via modern technology. Among the stories shared on this podcast are 1974’s Give the Devil His Due from CBS Radio Mystery Theater and 1954’s The Hollow Footsteps from Peter Lorre’s Nightmare series. David Cummings’ The No Sleep Podcast has been incredibly successful in the horror community. As you might be able to tell from the name of the program, the stories in this horror fiction anthology are pulled from Reddit’s No Sleep forum. Each week, listeners can get their audio horror fix with three to six No Sleep stories. The voice acting, horror music and overall production is an impressive feat. This podcast offers free listening, or you can get access to more stories with a reasonably-priced subscription. 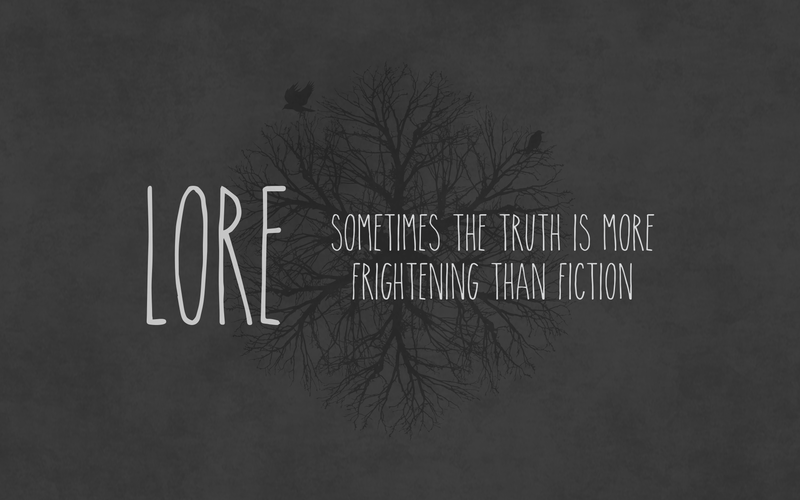 Written, researched, recorded and produced by Aaron Mahnke, the Lore podcast is an intriguing look into legends from different cultures and the nonfiction history that may be behind those stories. Though it’s educational at its core, Lore is really an infotainment podcast that features some chilling tales. In one episode, Mahnke talks about the horror of those who were buried alive with no escape, while in another he tells listeners of a rural family ostracized, then mysteriously, brutally murdered. As dark as Lore can be, you won’t be able to stop listening. This audio series is addictive from the very beginning. 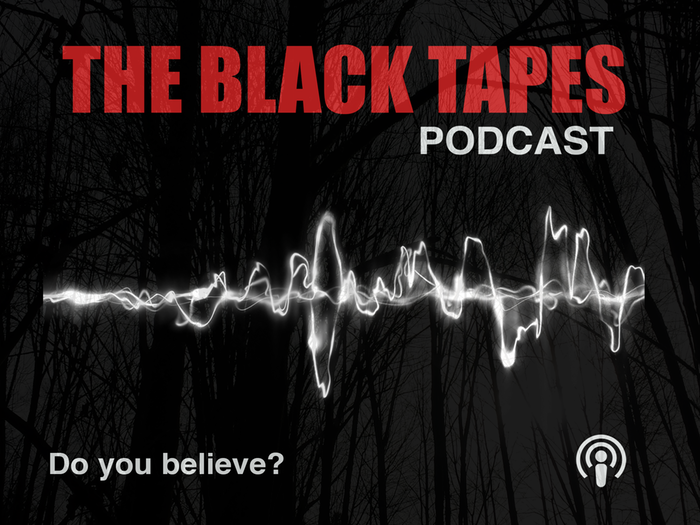 Told by Alex Reagan, The Black Tapes is the (fictional) account of her look into Dr. Richard Strand and his unsolved Black Tapes. Dr. Strand makes his living proving that the paranormal is nothing out of the ordinary, but his collection of Black Tapes are those that can’t be proven with evidence of any kind, and therefore may very well have a supernatural story behind them. This story, which is in its second season, is told in biweekly installments and must be listened to in order, and, for maximum creepiness, alone in a dark room. Alex’s producer, Nic Silver, has his own mystery podcast called Tanis that’s also worth a listen. Alice Isn’t Dead, like The Black Tapes, is a fictional account that can’t be listened to out of order. It comes from the makers of the popular horror-tinged podcast Welcome to Night Vale, so you can bet things get weird, but that’s the end of the similarities between these two audio programs. Alice Isn’t Dead is the story of a truck driver traveling across the U.S. in search of her wife, who was formerly presumed dead. 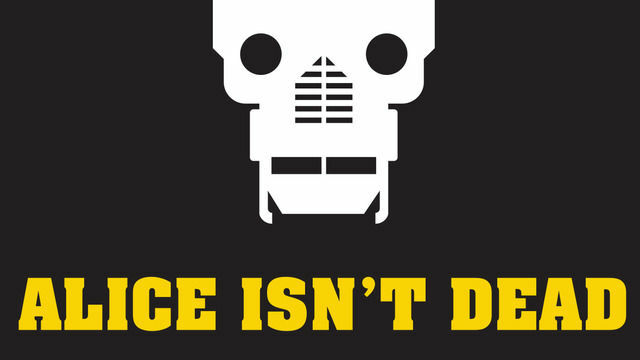 Where Night Vale has its dark sense of humor, Alice Isn’t Dead is simply a macabre and foreboding tale. It’s still on Part 1 as of this writing, so catching up won’t take long. This podcast is hosted by Lex Wahl, who creates music and audio effects to bring the accounts of supernatural activity experienced and sent in by listeners to life. Wahl narrates some of the stories himself, while others are told by those who actually encountered the paranormal and sent in an audio file instead. Anything Ghost podcast doesn’t cleanly fall under the fictional label because the stories told are purported to be true; however, it isn’t nonfiction in the way that Lore can claim to be, with unquestionable facts to educate its listeners. If you’re a believer in ghosts and ghouls, this podcast will probably send a chill up your spine. 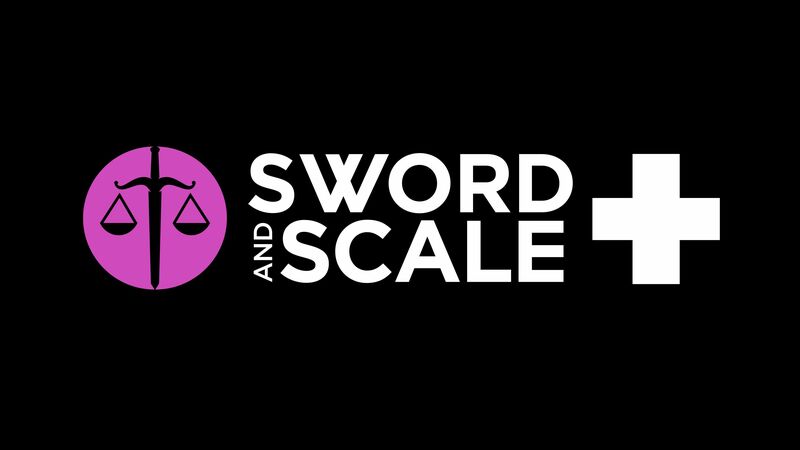 The Sword and Scale podcast focuses on true crime, from murders to kidnappings, and so much more. The show’s host, Mike Boudet, delves deep into these crimes and how they were handled by our criminal justice system using 911 calls, interviews with those involved and more. Though this podcast isn’t “campfire tales” creepy, it will make your skin crawl to learn of the real-world events that prove sometimes fact is scarier than fiction. 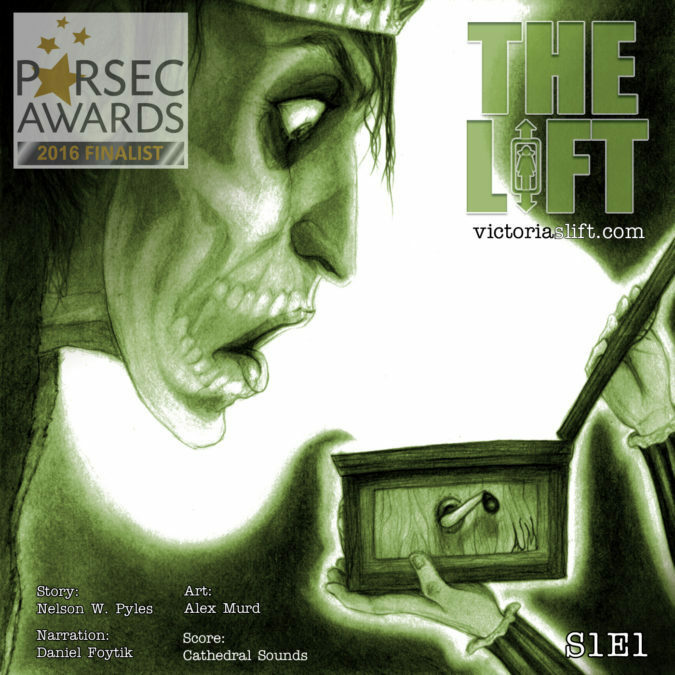 The Lift is a horror anthology podcast about an abandoned building, and particularly the elevator in the building, which is inhabited by the spectre of a young girl named Victoria. Multiple authors contribute to the audio series, but each episode features a story of Victoria meeting a new person in the building. Whether Victoria and her companion are discovering portals within the building, fighting a destructive force there, or simply trying to solve the problems of the visitor, there is an adventurousness to The Lift. 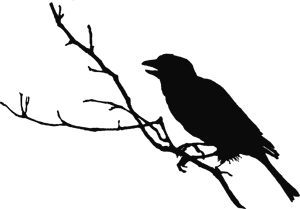 It’s lighter on the horror than most of the other podcasts listed, but the ambience created by the music and voice work add an eerie quality. 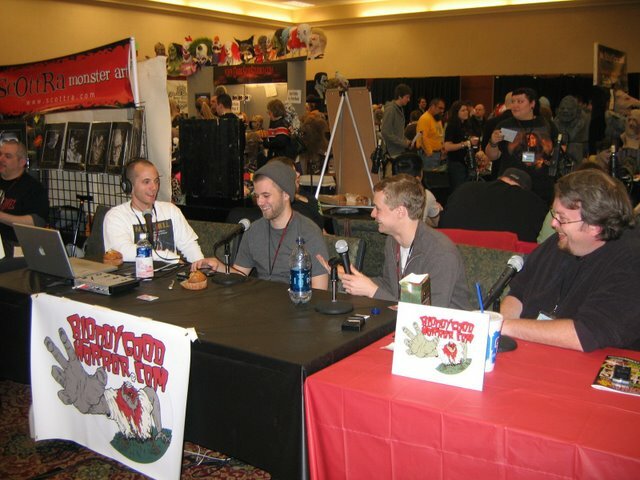 Another film review podcast, Bloody Good Horror takes a unique approach to their setup. For each film, co-host Joe has a thematically relevant beer picked out and co-host Jon teaches everyone a word related to the episode. They have bumpers in between segments featuring celebrities of the horror community and audio from horror movie trailers, as well as remixed music setting a fun tone. The group of hosts of the show, who have a natural chemistry, are funny and entertaining. In addition to the main Bloody Good Horror shows, their community also has a series called Sophisticult, which covers art and indie films, and there’s even a book club to join if you like reading horror as well.